Thanks to the beady eyes of our Tuesday wildlife recorders, very surprised to have found a new patch of waxcap rich grassland on Waun Las NNR. This time it's on one of our greater butterfly-rich hay meadows. 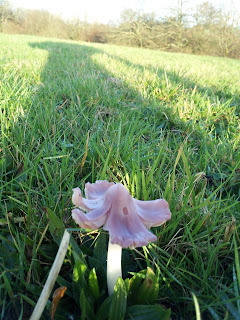 I've been looking for waxcaps here for a few years and found just the occasional one. But this year, maybe due to the warm wet autumn, we've been seeing lots of Hygrocybe chlorophana, H.virginia, H.psittacina (yes I know it's now been split up but this is the best I can do for now), H.conica. a few H.punicea and a couple of H.calyptriformis (as pictured). 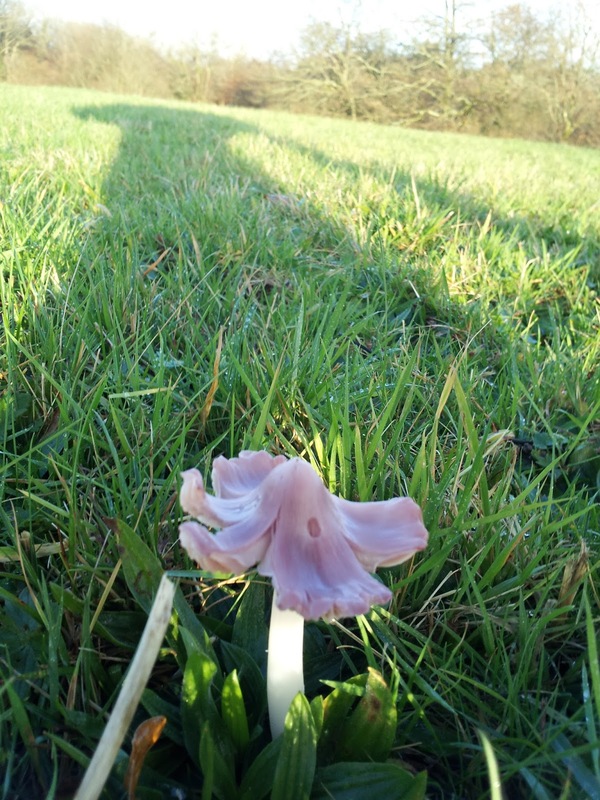 This land is rarely grazed so makes an interesting contrast to other waxcap sites at Waun Las. The more you look the more you see.